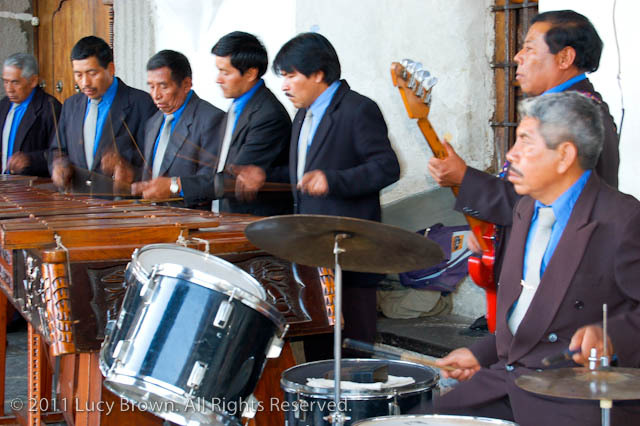 Following is an article, with added photos, that I wrote for V!VA Travel Guides, published on their website and in their print guidebook, about Guatemala’s musical darling; the marimba. 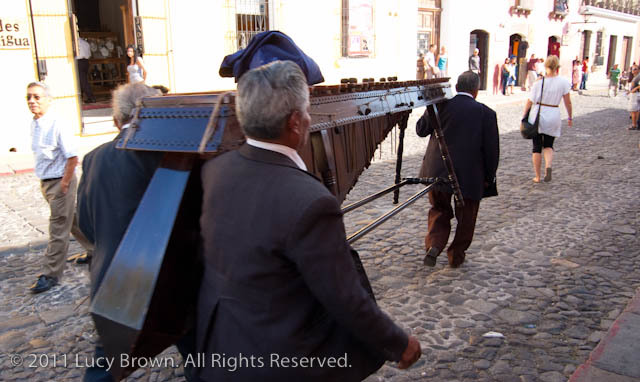 The origin of the marimba, Guatemala’s national instrument, is unknown. Some maintain it came from Indonesia, others from the Amazon, yet it’s more widely believed that slaves brought it over from Africa in the 16th century; after all, a Zulu myth tells of a goddess named Marimba creating a musical instrument of wooden palings and hanging gourds. 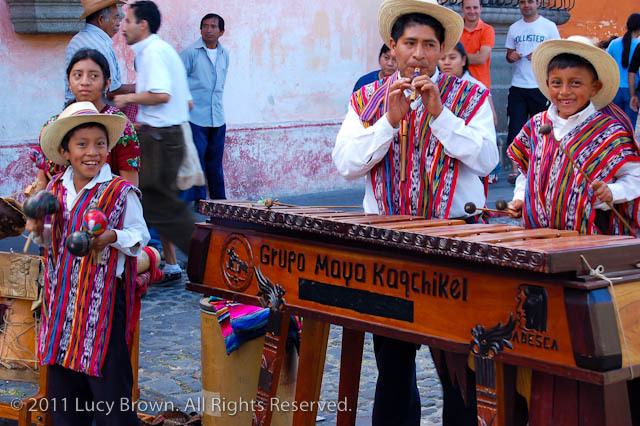 The background sound track of many a festival, both in rural areas and in the city, the marimba is an integral, beloved and authentic part of Guatemalan culture with no ethnic boundaries. A fiesta without marimba would be considered no fiesta at all, and the sound of its lively melodies echoing through the streets is a sure sign that something is being celebrated. A poem about the marimba is recited during the commemoration of independence and gigantes, the giant figures that are such an important part of pueblo pageants, are accompanied only by the sound of its music. There are also a number of traditional dances that go along with various marimba rhythms. Similar to a wooden xylophone, this beautiful percussion instrument is played by differing numbers of musicians depending on its size. The keys, usually made of rosewood, are arranged like a piano and are tapped with mallets, creating its distinctive musical tones. There is a Guatemalan saying about large families having una marimba de hijos, likening the horde of children to the abundance of keys on the instrument. 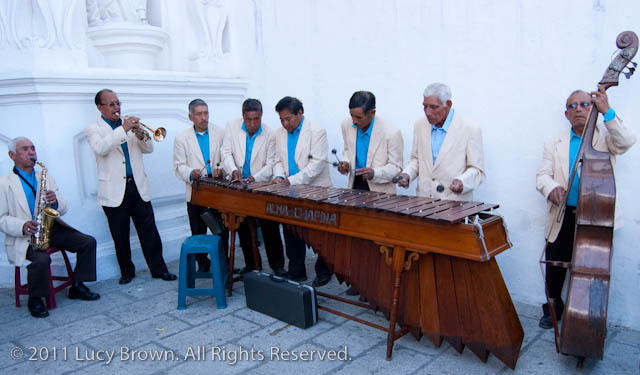 It’s said that the marimba evolved from simple wooden bars placed over a hole in the ground, which the indigenous people of Guatemala copied and refined to create their own style. 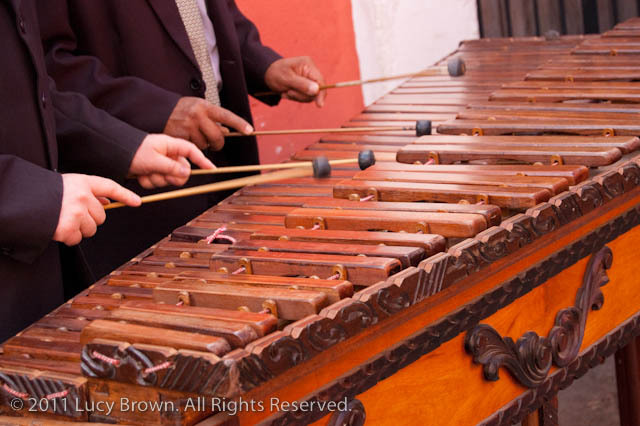 The first documented account of the existence of marimba is from a performance in front of the cathedral in Antigua in 1680, and it can still be heard every year on July 25th, Antigua’s patron saint day. Modern marimba bands dress formally and consist of a smaller marimba for three players, a larger one for four, a drum kit or other percussion, and a string bass. JADES, S.A. recently made the first marimbas with jade keys. They were inspired by the Chinese who have used the semi-precious stone for thousands of years to make musical instruments, due to its special acoustic properties. 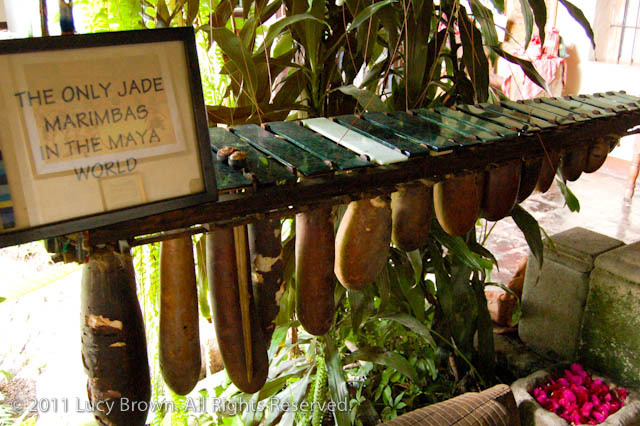 Now three various sized marimbas of jade, each producing a different sound, are on display in their museum in Antigua. To get a taste of this diverse culture, head for the 5a. Avenida Norte on a Sunday. A father and his family including young children, all dressed in typical indigenous attire, perform together in the street. It’s also played in La Fonda de la Calle Real and sometimes in Parque Central at weekends and festivals. 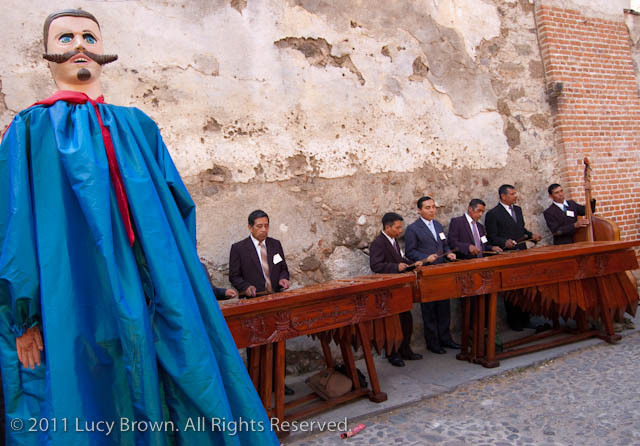 To feel the heartbeat of Guatemala keep your ears pricked for the pulse of marimba wherever you go. 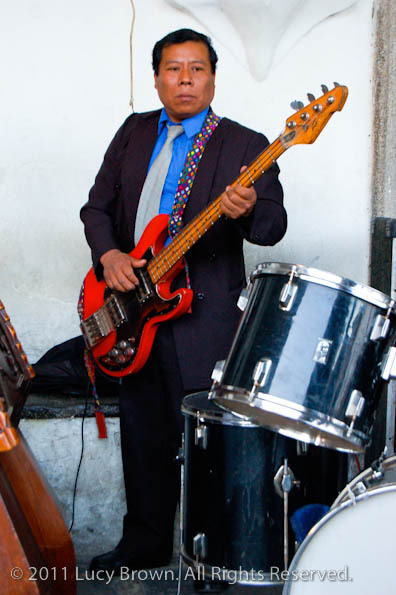 No visit here is complete without hearing the harmonies of the instrument that identifies completely with Guatemala.